We understand that life is unpredictable. Families grow, or homes need downsizing. Houses are sold or new apartments rented, bike gear stowed, or river watercraft put away for the winter. Whatever your situation, Store Space is your best choice for self storage. We have a first-class policy of customer care, guaranteed by our trained storage professionals and on-site managers. And, we take the protection of your belongings seriously. Our premium security systems, including our digital surveillance and computer passcodes for gated access, give complete confidence in the safety of our facilities. Indiana summers are hot, humid and wet; our winters are cold and snowy. Store Space shelters your belongings from harsh temperatures and cold weather damage with climate-controlled and heated storage units. You’ll have access to your property 7 days a week. We expedite snow removal during storms to ensure easy accessibility to your storage units. Let us help you maximize your space at home or give your office a little more room. Our competitive monthly rates and friendly staff are ready to help! As your storage partner, we provide fast, safe online reservations with no down payment or security deposit required. We are also dedicated to keeping rates low and competitive. You can not only count on an inexpensive storage solution and competitive move-in promotions; we also make a variety of payment options available to fit with your lifestyle. Plus, Store Space has boxes and packing supplies available at our front offices to make moving and storing easy. 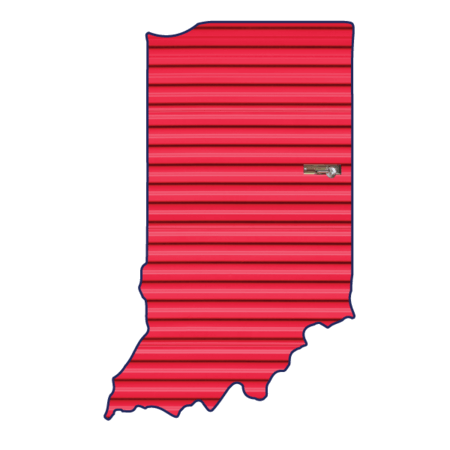 Our storage facilities in Indianapolis, on Madison Avenue and 29th Street, are conveniently located in the northern and southern parts of the city and offer huge selections of units and sizes. Indiana is home to many large colleges and universities, including Ivy Tech Community College and Indiana University-Purdue University Indianapolis. We offer convenient month-to-month leases and low rates perfect for students during gap years, semesters abroad and summer months. Store Space located in Indianapolis at 2715 Madison Ave., Indianapolis, IN 46225 - We are on Madison Avenue between East Southern Avenue and East Troy, by Garfield and Columbia parks. We not only have climate-controlled interior units, but our drive-up units are available with climate control as well. Store Space located in Indianapolis at 1426 W 29th Street, Indianapolis, IN 46208 - Store Space on 29th St. is between East Riverside Dr. and North Harding Street. We are close to Riverside High School and Taggart Park, by the 29th Street bridge over the river. We have elevators to all floors and keep our property bright, well-lit and secure.